On the remotest, whether great or small. The Parson is we think, Chaucer’s most favourite character, together with his brother the Plowman he has nothing but good to say about him, remarking on his care and interest in all his parishioners whether rich or poor. 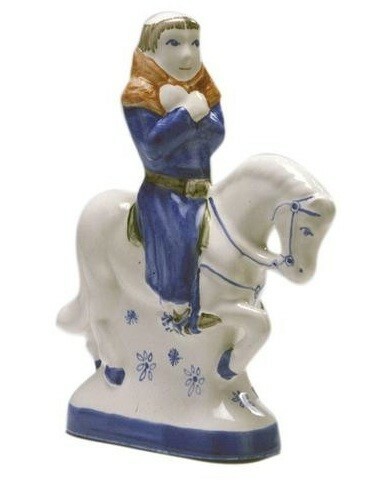 As one of the religious Pilgrims he is wearing a soft blue habit detailed with a broad leather belt and terracotta cowl.